Summary/Purpose: In furtherance of the University’s interest to maintain a drug-free workplace, the University reserves the right to test any university employee for alcohol and/or controlled substances using these guidelines. 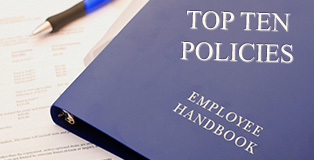 In furtherance of the University’s interest to maintain a drug-free workplace, the University reserves the right to test any university employee for alcohol and/or controlled substances when (1) there is a reasonable suspicion that the employee may be under the influence of alcohol or controlled substances while at work, (2) the employee has been offered a position within a department or unit that is required by federal or state regulations to conduct a post offer drug screening prior to active employment, or 3) the employee is involved in a vehicle accident while operating a university owned, assigned, or leased vehicle. This policy applies regardless of whether or not the university employee was at fault in the accident. Supervisors are responsible for arranging for the employee to be escorted to the location where the testing is to be conducted. Individuals who test positive, or who refuse to submit to testing when required, will be prohibited from driving a university vehicle and will be subject to other disciplinary action, up to and including, termination of employment. Retesting is required when results reveal that the specimen is diluted. Employees who test positive, or refuse to submit to testing, will not be permitted to return to driving university vehicles until negative test results have occurred. In addition, those employees may be subject to follow-up tests. Supervisors should consult with Human Resources regarding options for disciplinary action. No centralized funding is provided for expenses related to substance testing. The Department of Human Resources will initially pay the provider for related charges. However, accounts of the affected departments will be directly charged by the Department of Human Resources to reimburse these expenses. The Department of Human Resources serves as liaison between University departments and the testing provider. Prior to any drug or alcohol testing for reasonable suspicion, the department must coordinate with the Department of Human Resources. Supervisors should notify Human Resources of the need for the testing. When reasonable suspicion exists, the individual who made the observations should submit a written record to the Department of Human Resources documenting the basis for the suspicion. A Reasonable Suspicion Record Form can be found on the Human Resources website. If the observed behavior occurs during a shift when the Department of Human Resources is closed, the individual is to be taken for testing at that time. The Department of Human Resources is to be notified as soon as the office reopens. The Director of Human Resources, or a designated representative, will review the individual circumstances with the employee’s unit head and recommend appropriate action. Prior to beginning work in positions within designated departments or units, employees will be tested for controlled substance use. New employee offers are contingent upon completion of drug tests with results revealing the absence of drug use. Hiring departments will coordinate with the Department of Human Resources to schedule required tests. Any employee who tests positive for drugs will not be allowed to begin work. The offer of employment will be withdrawn unless documentation is provided by the employee to the University’s Medical Review Officer justifying the presence of the drug. As time is of the essence, employees should notify their supervisors of the accident as soon as possible and supervisors should notify Human Resources immediately when an employee in their department has been involved in a vehicle accident. Post-accident alcohol tests should be conducted within two hours following the vehicle accident. Drug tests should be conducted within 32 hours following the vehicle accident. Failure to report vehicular accidents in a timely manner may result in disciplinary action.